Laid down, 5 August 1942, at Kaiser, Inc., Richmond, CA. Final Disposition, sold for scrapping, 1 June 1948, to Puget Sound Bridge and Dredging Co., Seattle, WA. 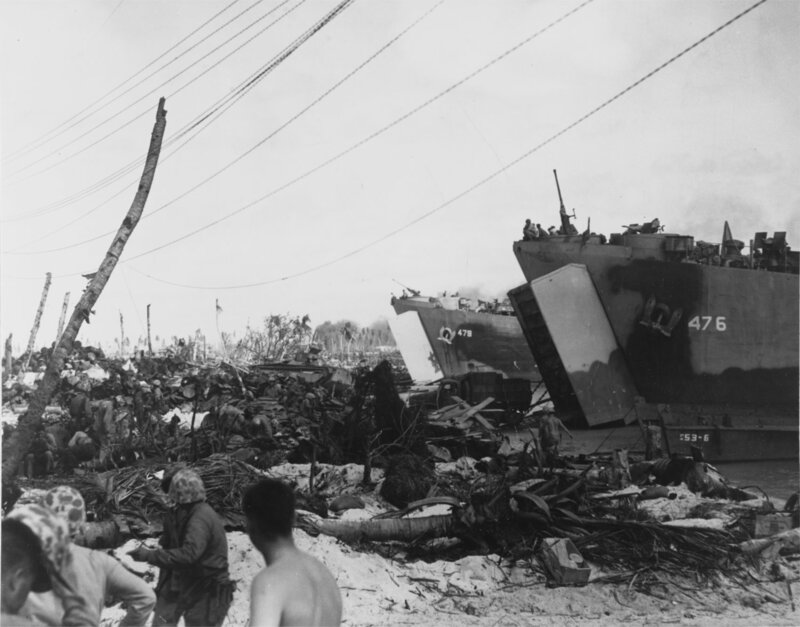 211k USS LST-476 and USS LST-479 land vehicles and supplies amid the Roi Island Beach clutter and wreckage during the Kwajalein Operation, circa 2 to 8 February 1944. 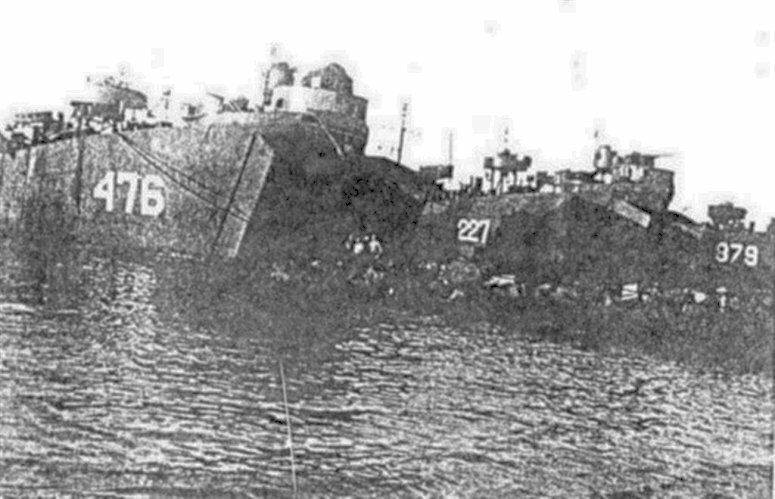 The LCVP in right foreground is from USS WARREN (APA-53). 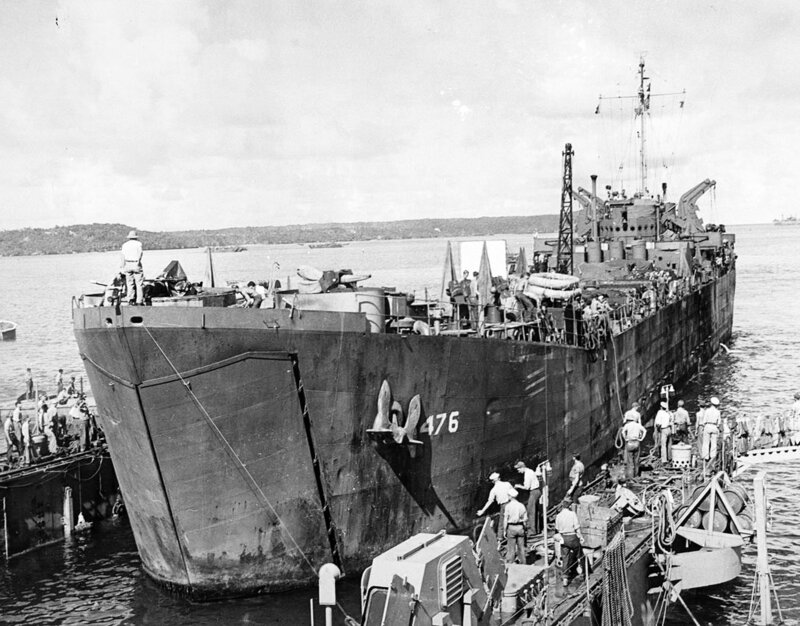 228k USS LST-476 in a floating drydock, circa 1945, location unknown. 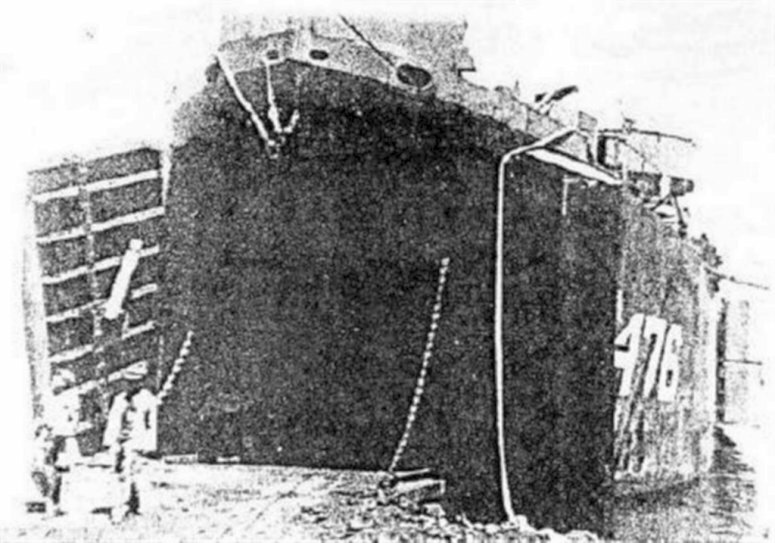 Note the movie screen on the starboard side of the main deck.